Consultation is confidential but does not establish an attorney-client relationship. Confirmation of President Donald Trump’s nominee for U.S. Secretary of Labor, Andrew Puzder, continues to face delays related to his ongoing ties with his fast-food restaurant chain. Mr. Puzder, the CEO of CKE Restaurant Holdings, has also been the subject of rumors that he is having second thoughts about taking on the role. Puzder’s nomination has been controversial from the start, with news outlets reporting on multiple class-action lawsuits filed against his companies for alleged labor violations. In 2004, for example, CKE paid a $9 million settlement to resolve a wage and hour lawsuit related to the company improperly classifying employees as exempt under California’s labor laws. There were additional issues in 2013, when CKE was accused of violating overtime pay requirements for its managers. The company reportedly required the general managers of its Hardees and Carl’s Jr. stores to be on call 24 hours a day, seven days a week—but did not compensate them for work they performed while they were on call. That lawsuit is ongoing. With Puzder’s questionable record on wage and hour issues, labor law attorneys and advocates have voiced their opposition to his nomination. They argue that Puzder would oppose increasing the federal minimum wage and maintaining rules to protect workers, while potentially dismantling protections afforded through the Fair Labor Standards Act (FLSA). Business groups have largely supported Puzder’s nomination, saying that he understands their concerns as they relate to wage and hour challenges and would be a strong advocate for their interests. First passed in 1938, the FLSA offers a wide range of protections for workers across the United States. The U.S. Department of Labor, the department Puzder would oversee, administers FLSA regulations through its Wage and Hour Division, ensuring that employers meet federal standards for minimum wage, recordkeeping, child labor and overtime pay. All workers covered under the FLSA must receive a minimum wage of $7.25 per hour, although advocates have been pushing Congress to increase this amount to more than $10 per hour as soon as possible. Covered employees must also receive overtime pay of at least one-and-a-half times their regular pay rate once they have surpassed 40 hours in a standard work week. Another issue the incoming labor secretary would need to address is the Department of Labor’s pending overtime rule, which would double the salary threshold for an employee to be exempt from overtime pay. The rule, originally slated to go into effect in December 2016, would increase the salary threshold from $23,660 to $47,476. Employees making less than that amount would qualify for overtime pay under the FLSA. A federal judge in Texas placed a temporary hold on the rule in November 2016 after 21 states filed a preliminary motion for an injunction. The plaintiffs claimed that the DOL did not have the authority to raise the threshold by such a large amount. This has placed employers, employees and overtime lawyers in a state of limbo as they await further action in the courts. All employers must abide by the rules of the FLSA and state regulations for all nonexempt workers. 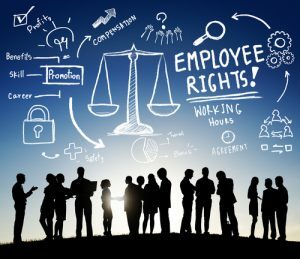 If you believe your employer has violated your rights, consult with the experienced labor law attorneys at Cilenti & Cooper, PLLC. You will meet with a workplace lawyer who has years of experience advocating for workers’ rights to fair pay. Cilenti and Cooper provided great advice and built a strong case. Justin and Peter are talented, honest and experienced lawyers. They are available every day and responded to all of my questions— always promptly and professionally. The attorneys at Cilenti and Cooper are unique, genuine lawyers who go above and beyond. They treated me like family. I trust them to protect me and I am very pleased with the results in my case. I was represented better than I could have ever imagined. My attorney fought hard for me and explained everything from beginning to end. I think the advice they provided was great and they worked hard to obtain a successful outcome faster than I thought possible. Your employer may not have paid you correctly. The law requires that you be paid a minimum amount of wages. You are entitled to extra wages if you worked more than 40 hours per week. Let us fight to recover the wages you have earned. Copyright © 2019, Cilenti & Cooper, PLLC. All rights reserved. Your request has been sent. We will contact you soon!